This is particularly true for literature. Most stories, after all, happen in the past (at least they did until the mania for present tense narration began in the 1990s, transforming the author from a storyteller into a living, breathing camera). But the focus of literature on a more distant, “historical” past is really a fairly recent phenomenon. The Gothic writers of the late 18th century were fond of mucking about in castles and other old, moldering places. Lord Byron’s “The Prisoner of Chillon” (1816), a narrative poem about the imprisonment of 16th-century Protestant leader Francois de Bonivard, breathed flesh and blood into the dusty annals of history. Sir Walter Scott’s Waverly (1814) did the same for the English novel, which until then had been con­sidered light, shallow reading, confining itself to manners (Pride and Prejudice), master/servant relations (Pamela), moral­ity (The Vicar of Wakefield), shipwreck narratives (Robinson Cru­soe), or comedy (Tristram Shandy). Indeed, Waverly, set during Bonnie Prince Charlie’s doomed Jacobite Rebellion of1745, went on to become one of the most influential novels in all lit­erature. It opened the august stage of history to fiction writers, and set the pattern for the next fifty-odd years. Hawthorne (The Scarlett Letter), Fenimore Cooper (The Last of the Mohicans), Irving (“The Legend of Sleepy Hollow”), Dickens (A Tale of Two Cities), Balzac (The Chouans), Tolstoy (War and Peace), Sienkie­wicz (With Fire and Sword), Hugo (Les Misérables), Undset (Kris­tin Lavbansdatter), and the later novels of Scott himself (Ivanhoe) are just a few of Waverly’s children. 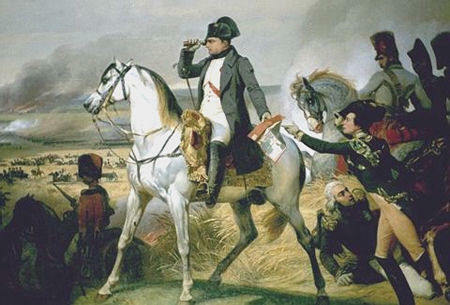 With the Realism of the later 19th century and the Mod­ernism of the early 20th, historical settings fell out of vogue. But by then the booming industry of historical romance novels had begun; the best works in this genre (Anya Seton’s Kather­ine, Margaret Mitchell’s Gone with the Wind) are closer to Waverly than your typical bodice-ripper, in terms of style and treatment. And other subgenres, such as the nautical adventure stories of Patrick O’Brian, have kept the dust off the pages of history. The 21st century saw several masterpieces written with a historical backdrop, including Hilary Mantel’s Wolf Hall (set during the reign of Henry VIII) and Sarah Dunant’s The Birth of Venus (set during the Italian Renaissance). Diana Gabaldon’s Outlander comes full circle, thrusting a time traveling WWII nurse into Waverly’s Scotland. As a time travel author myself, I’m fascinated by the potential dialogue between past, present and future; however I doubt nurses (or even tea cups) will be traveling into the past for the next century or two, if ever. 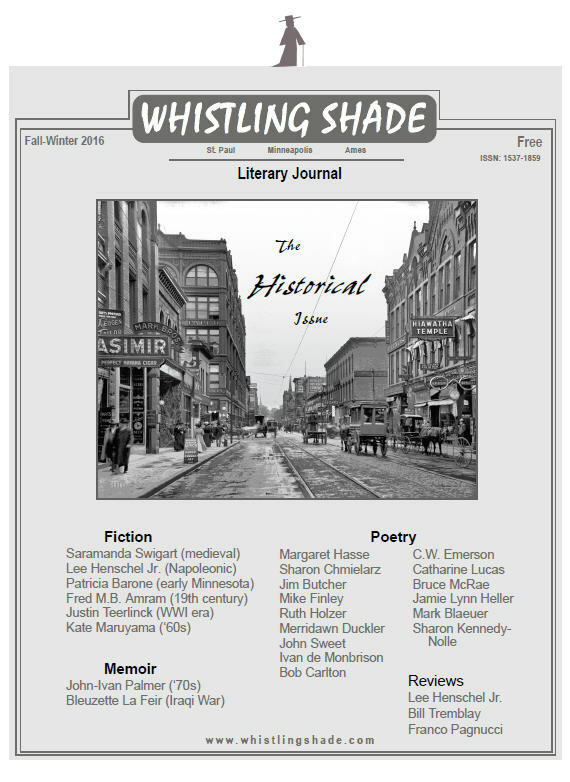 From our vantage point in history, the best way to visit the past is through a time portal known as a bookstore ... or by kicking back with Whistling Shade’s Historical issue.